We are preparing for a storm today, hurricane Matthew to be specific. The forecast for my neck of the woods is tropical storm warnings as the brunt of it looks to be staying on the east coast of Florida and we are on the westcoast. Seeing the wind kick up and the ocean waves churn (on TV, it’s sunny here) reminds me of how Jesus dealt with His own storm in Matthew 14:22. The first thing He did was get alone and pray. He had face time with His Father before He faced the storm. He stood at the shore alone. Jesus didn’t look for a boat or wait until He found one. He just walked right into the storm by doing the impossible-walking on water. Just so you know, I am not planning to do any water walking today. But I am planning on getting some face time with my Father in heaven before I face whatever the day brings. You may feel like what your facing is an impossible situation. Good news: your Savior knows how to do impossible things. Jesus knows where you are at and what you are facing. When things get overwhelming, lean in and hear His voice: “Before you face the day, get face to face with Me. 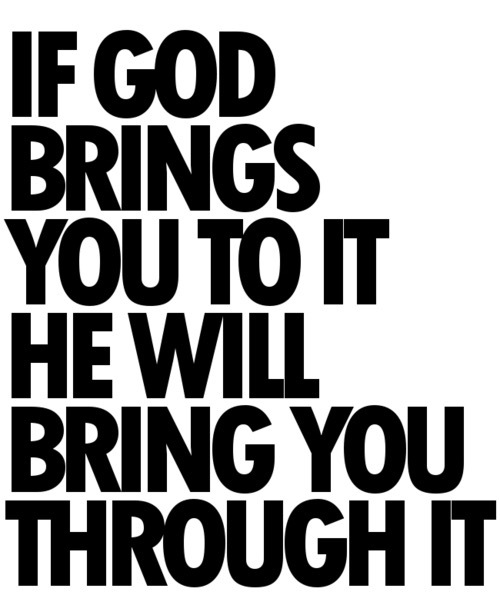 I will bring you throughit. I know the way”.